Ever since he was an infant, Pigeon Jones has lived on the back of an artistically gifted white elephant named Birch. Birch is a loving father, but that doesn't stop Pigeon from wondering about the human parents who abandoned him. Birch has dreams, too of being a well-known artist, and of finding the acrobat he fell in love with while they performed together in a circus years ago. And so, on Pigeon's tenth birthday, their search for fame and lost loves begins. Pigeon and Birch paint their way across the world, dodging an evil circus ringleader, freeing zoo animals, and befriending singing hoboes along the way. But when they reach the end of their journey, Birch must master the most difficult art of all: letting go and allowing his beloved Pigeon to stand on his own two feet. 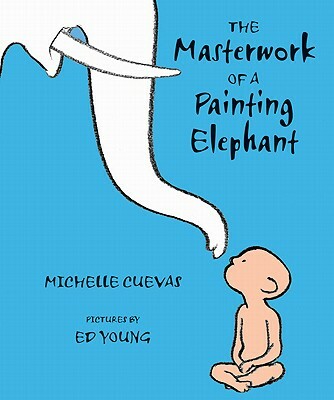 Michelle Cuevas graduated from Williams College and holds a master of fine arts in creative writing from the University of Virginia, where she received the Henry Hoyns Fellowship. She lives in Berkshire County, Massachusetts.Ed Young is the Caldecott Award-winning illustrator and writer of many children's books. He lives in Westchester County, New York, with his two daughters.